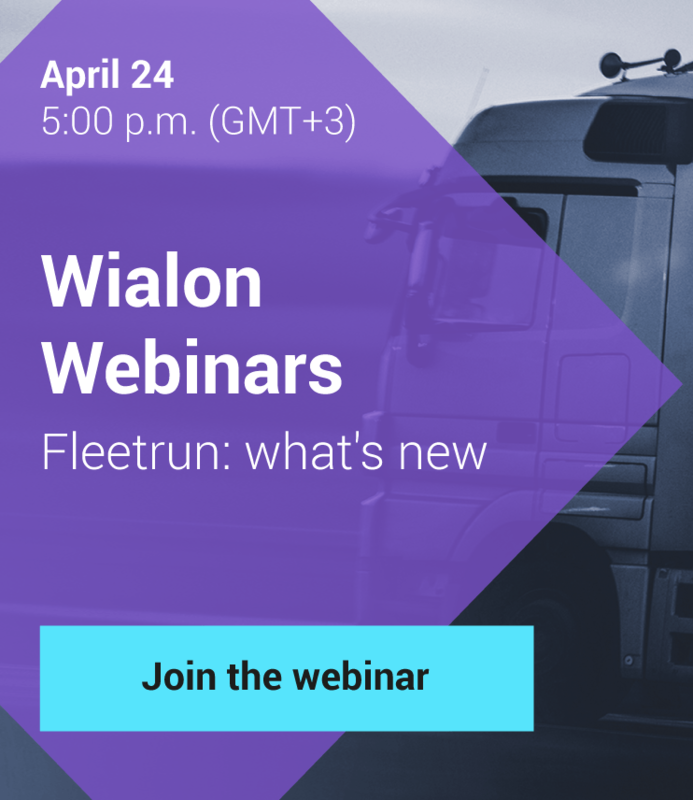 For many years, Gurtam partners have been implementing Wialon in multiple spheres and now feel at home even in the railway transportation industry. Some time ago, CAST Engineering delivered another challenging project. Go on reading and find out the details. Excessive level of carbon emission exceeding the one allowed by the European legislation. Gurtam partner CAST Engineering offered the solution capable of solving all these issues. GPS/GLONASS on-board terminals to track the train location in real time. Mobile DVRs by Howen Technologies. They provide online video monitoring of the rails and cockpit and save the recordings in digital files archive. In the case of force-majeures, there is always a possibility to view the videos and get to know what happened. High-precision fuel level sensors by Omnicomm and temperature sensors. Here, we should mention that fuel, oil, and water temperature monitoring in locomotives can’t be underestimated. If the engine overheats or becomes too cold (as it is used in a wide temperature range from over +30℃ to -15℃), it can get out of order and end up in a costly repair. We are sure you know where to spend up to 10 thousand dollars. Then, there is the software part. 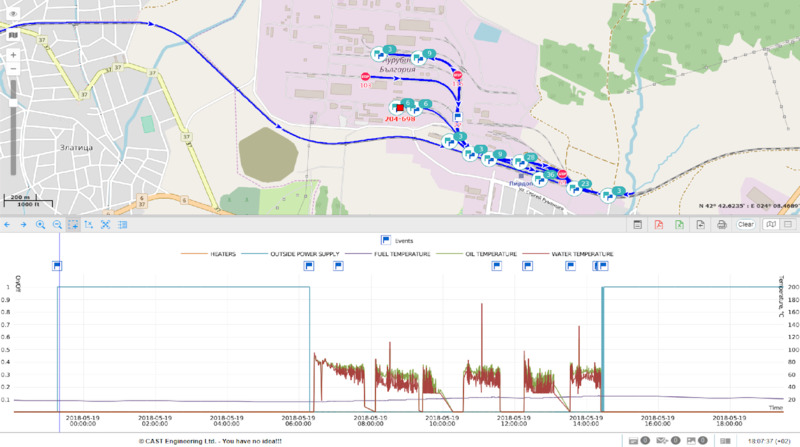 Two interfaces are used that allow analyzing and displaying telematics data. 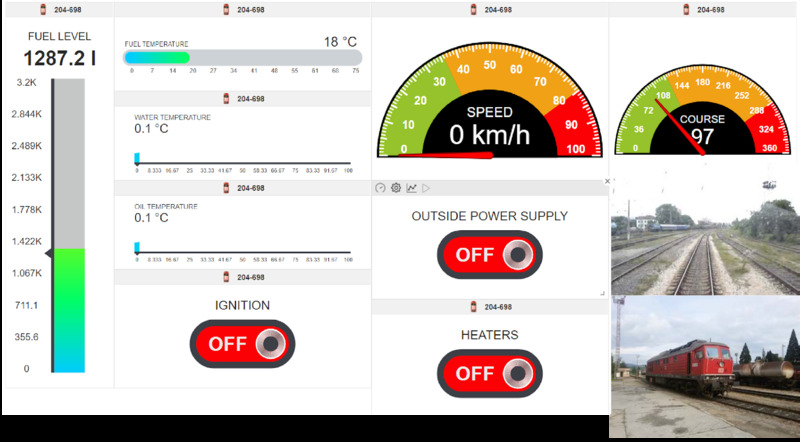 24/7 control room uses Sensolator that shows temperature values, fuel level, speed, mileage, ignition status, and other parameters in real time. Dashboard is for the company management to analyze engine hours, mileage, average speed, fuel consumption, etc. and displays the results in easy-to-grasp charts and diagrams. They could arrive, let’s say, at the North side of the station → unload there → go to the South side to get loaded → again return to the North side to depart from the station. It was burning extra fuel, and causing the trains to spend more time at the station than needed. There is also one more useful feature that has a huge impact on the safety – digital warning system. When the loco driver overspeeds, it triggers a notification for the control room. Moreover, the red light signal lights up on the driver’s panel in the cockpit which helps to prevent accidents. 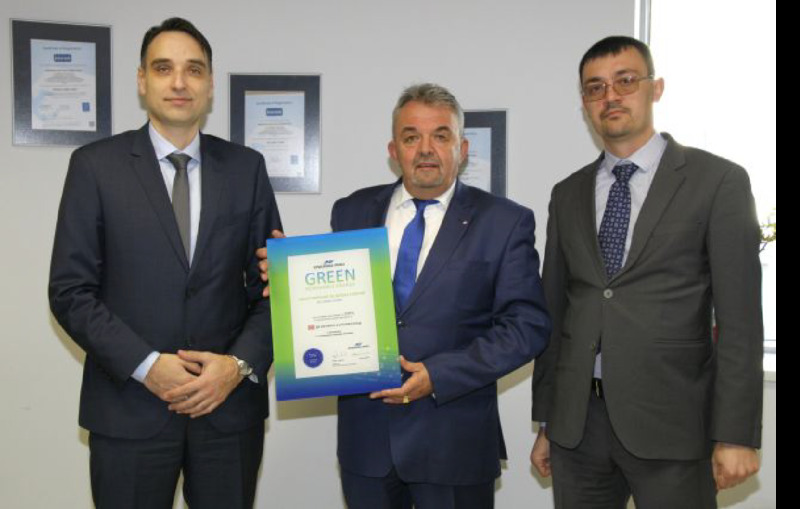 DB Cargo Bulgaria met the goal of reducing the carbon dioxide emissions by 20% and was able to receive the Green certificate. 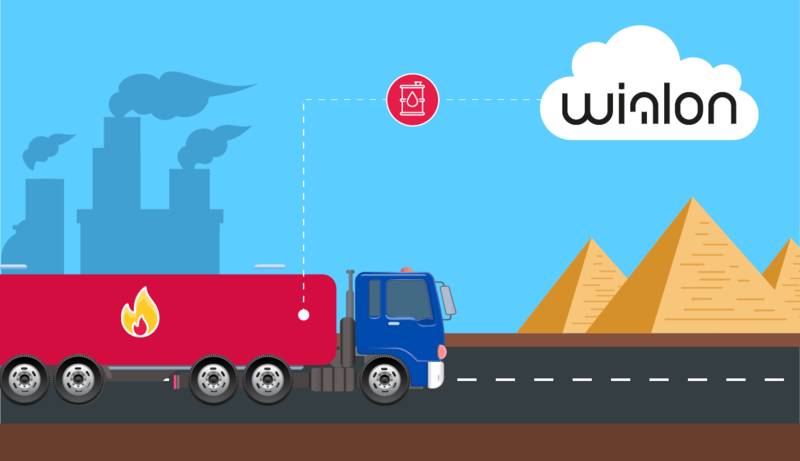 As we see, with the help of Wialon, it is possible to be eco-friendly even using a diesel engine. We hope you got inspired by this excellent example of Wialon usage and now have some interesting ideas on your mind just waiting to be put into action. Meanwhile, we are excited to hear about your projects that already work. Send your stories to marketing@gurtam.com or fill in a special form at my.gurtam.com in “Marketing support” section.